Happy Holidays from Studio 3 | Studio 3, Inc.
It’s all about the stylin’, baby! Taking a product photography shot like this doesn’t require much more than good lighting and professional hands on the shutter (and we can do both no problem! ), but it’s the product styling that truly makes the photo shine. 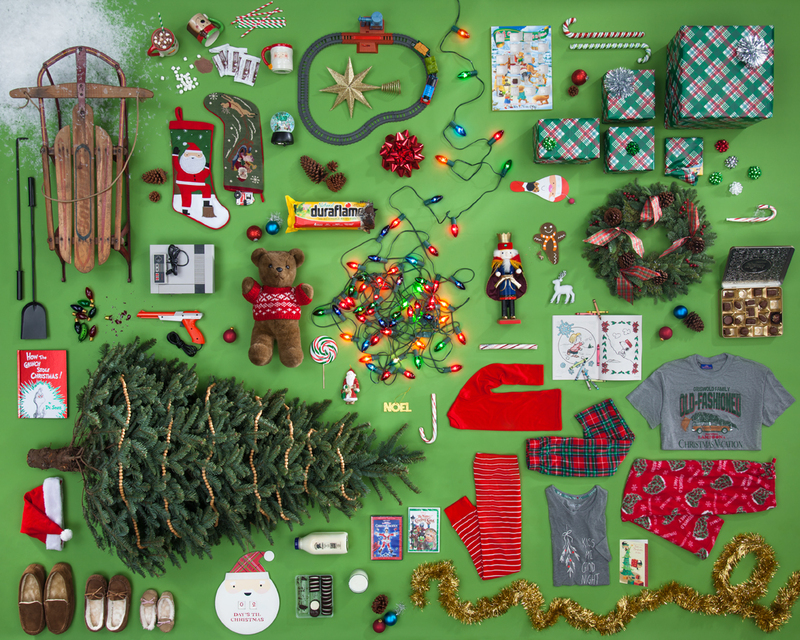 Accomplished by all-star commercial stylist Tristan Weholt, this photo took about 2 days to tweak the styling to that festively organized level. Producer Megan Nolan sourced the full array of holiday items from local stores, and Ms. Tristan set about fitting them all together like a puzzle, choosing where the bigger pieces fit and maneuvering smaller items to coordinate. Ms. Tristan says that she loves these creative briefs because “it really lets the creative mindset of styling flow…this is where my career meets my passion.” Photographer Chris Eltrich created the set and lighting, and ultimately captured the essence of spending Christmas morning at home with the fam. 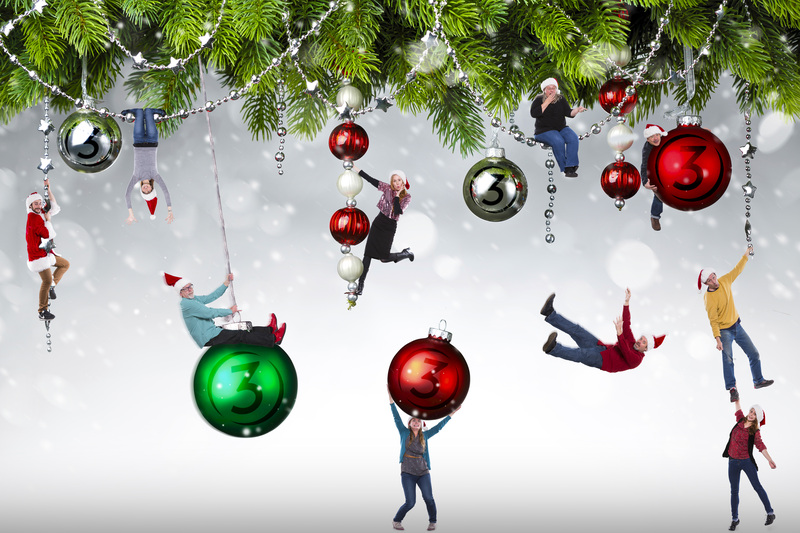 For the above photo there was a specific creative brief, but for the company Holiday card it was just to come up with an idea and execute a shoot that encapsulated the Team here at Studio 3. 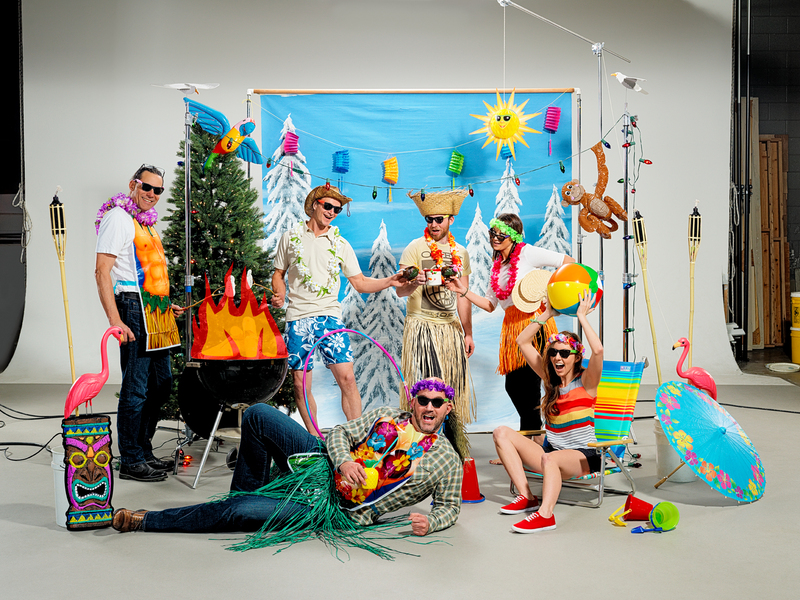 Each studio location shot its own top-secret creative twist on the brief, with our Santa-hatted Portland office going head-to-head with our Hawaiian-themed Seattle office. Who did it best? You be the judge. Need a fun and unique interpretation on your company’s creative brief? Give us a ring and see the amazing and wonderful happen with Studio 3. Happy Holidays from Studio 3!